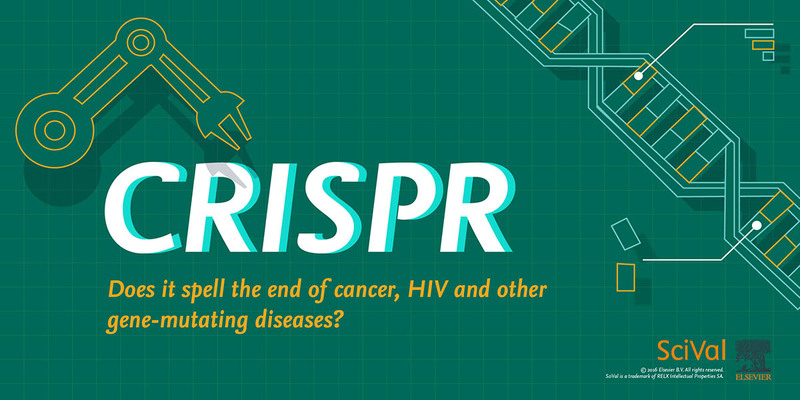 To reveal the impact of CRISPR research, Elsevier colleagues have created an infographic using Scopus data analyzed with SciVal. You can see portions of this infographic throughout the story and the full infographic here. Recently trialed for the first time in humans, the powerful gene editing tool CRISPR has been a source of controversy since it emerged in 2012. With CRISPR, scientists can cut and paste DNA, altering the sequence so precisely that it is possible to modify organisms, treat genetic diseases and switch genes on and off. 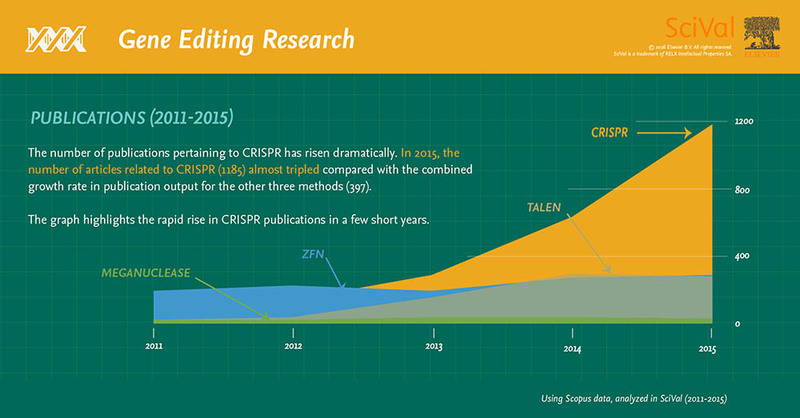 Since its appearance, CRISPR has been the focus of an increasing number of published studies. 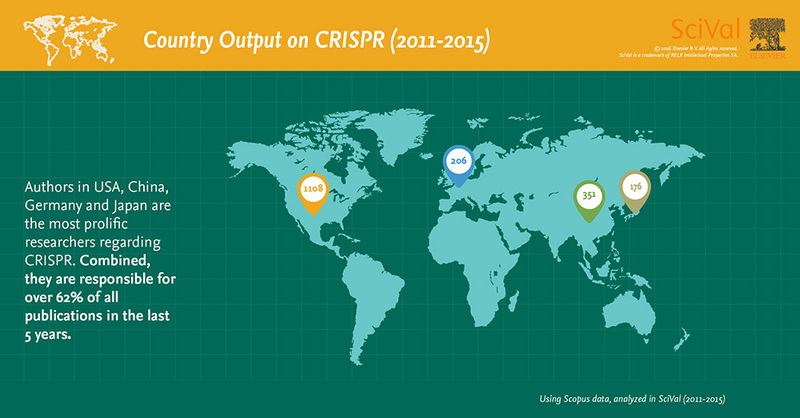 To reveal the impact of these studies – and the areas in which CRISPR is having the greatest effect – we have created an infographic using Scopus data analyzed with SciVal. The benefits of CRISPR for biological research are remarkable. 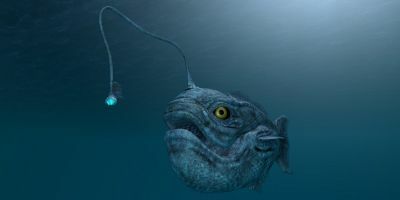 It is now far simpler for scientists to manipulate DNA, cutting sequences and repairing DNA exactly where they need to. 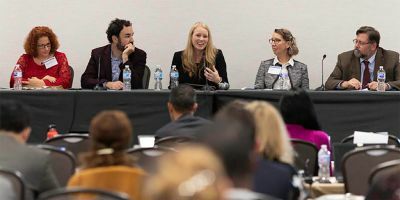 It makes the process of gene editing easier and cheaper (although, as biologist Dr. Ellen Jorgensen asserts in her TED talk, CRISPR is not something just anyone can use on the kitchen counter). The tool’s possibilities have also sparked controversy. Where should we draw the ethical and moral lines? Will CRISPR mean people are making designer babies and eliminating genetic diseases, and is that acceptable? We can wipe out whole species, like the mosquitos that carry the malaria parasite. But should we? 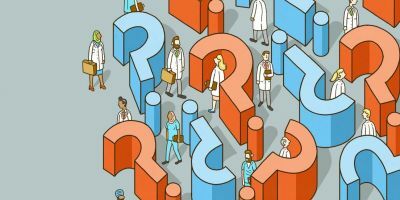 Answering these questions is complex, but there are a host of applications that are already changing the way we do science and treat disease – reflected in the rapid increase in publications about the tool. CRISPR first appeared as a genetic tool in 2012, following many pivotal studies showing its use in bacteria and higher organisms. In a study published in Science, microbiologist Dr. Emmanuelle Charpentier of the Max Planck Institute for Infection Biology in Germany and geneticist Dr. Jennifer Doudna of UC Berkeley described bacterial cell machinery that could be adjusted for gene editing. Bacteria can be infected by viruses called bacteriophages, which hijack the cell’s machinery to produce more viruses, eventually bursting out of the cell and killing it. To protect themselves from this invasion, and from other foreign DNA, like plasmids, bacteria have a molecular immune system – a protein machine that is designed to recognize a certain sequence of DNA that belongs to an invader and chop it up, thus evading death. This protein machine is called the CRISPR-Cas system. It comprises short segments of bacterial DNA – clustered regularly interspaced short palindromic repeats (CRISPR) – and CRISPR-associated proteins (Cas) – nuclease enzymes that can cut through DNA. The CRISPR RNA segments match short sequences of virus DNA, and when there’s a match, the Cas proteins, most notably Cas9, cut through the DNA at specified points to disarm the virus. This system is very specific and it can be adjusted to recognize and cut through any short sequence of DNA. Scientists have harnessed this and turned it into a genome editing tool that is more powerful than existing approaches – with CRISPR-Cas9, scientists can treat genetic diseases, create model organisms and modify crops. But the possibilities don’t stop with genome editing: if the DNA-cutting proteins are switched for something else, scientists can use the system to do things like labeling certain points in the DNA sequence or manipulating the epigenome – the way the cell’s genes are switched on and off. 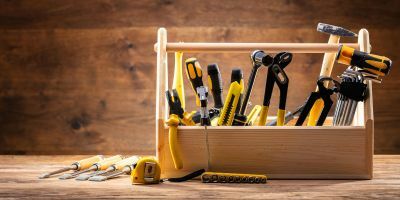 All this adds up to a very popular tool – one that has seen a significant leap in publications. According to an analysis of Scopus records, of the four main types of DNA-cutting tools scientists use to manipulate DNA, CRISPR-Cas is the most popular: in 2015, the number of publications on CRISPR (1,185) almost doubled the combined publications of the three other methods (392). The publications are also highly impactful: on average they were cited five times more than the average publications in the same field (FWCI: 4.8). Over half of all CRISPR publications are in the top 10 percent most cited publications, and more than one in five are in the top 1 percent. 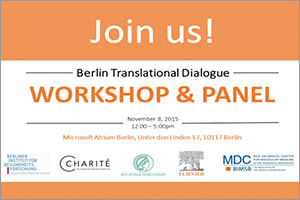 The results of the Scopus analysis were presented in an infographic in a magazine distributed at the 2016 Berlin Translational Dialogue, where Dr. Charpentier was speaking. Dr. Charpentier is the current Otto Warburg awardee; Elsevier has supported the awarding society, the German Society for Biochemistry and Molecular Biology (Gesellschaft für Biochemie und Molekularbiologie, GBM), for many years. 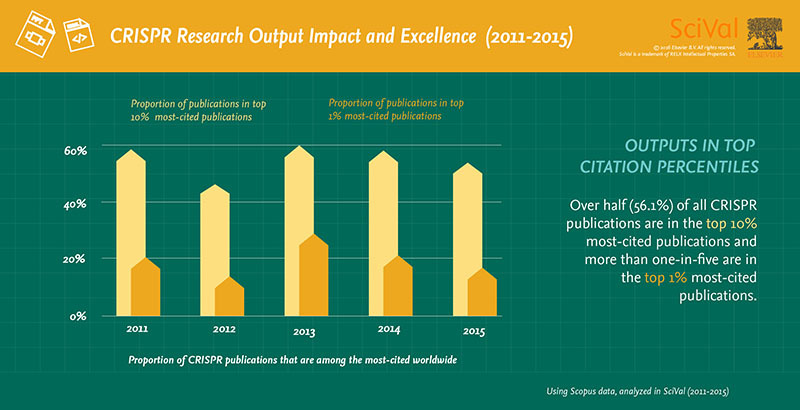 You can see the full infographic on Elsevier’s Research Intelligence website. 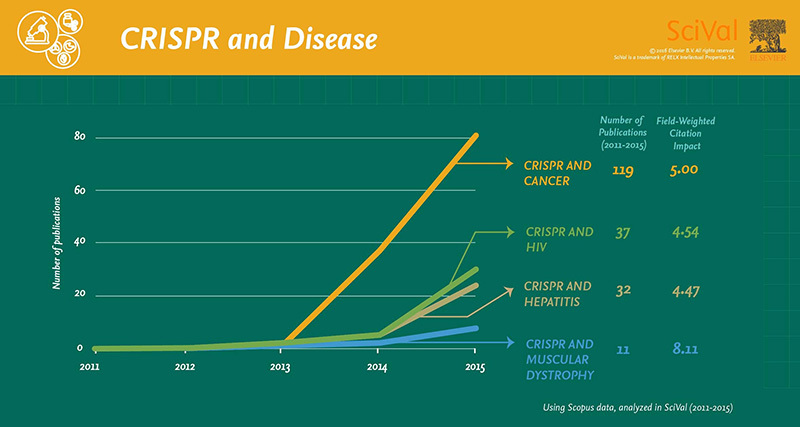 Between 2011 and 2015, there were 2,399 publications mentioning CRISPR. 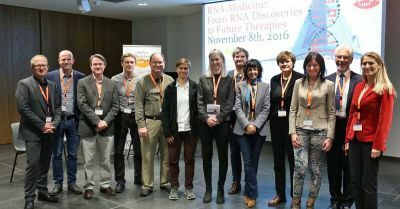 Many of these were about using the tool to investigate – and potentially find treatments for – different diseases, including hepatitis (31 papers), cancer (119 papers), muscular dystrophy (11 papers) and HIV (37 papers). One of the major potential benefits of CRISPR-Cas is that it could be used to cure inherited disease, by correcting genetic mutations. For diseases like sickle cell anemia, in which there is a clear mutation to correct, this might involve taking cells from the bone marrow out of the body, editing the mutation and replacing them. It could also be possible to teach immune cells to recognize tumors as foreign and attack them. Although promising, there are still risks associated with these approaches, including getting CRISPR-Cas to the right place. Dr. Erik Sontheimer, a professor in the RNA Therapeutics Institute at University of Massachusetts Medical School, is working with collaborators at the University of Toronto who identified proteins from bacteriophages that can inactivate Cas9. The proteins, which they have since identified in meningococcal bacteria, could be used to switch off gene editing. This could address one of the potential risks of CRISPR-Cas: the off-target effects. In therapeutics, we can deliver CRISPR-Cas9 to exactly where we want it to go, but all too often it goes other places too. It reaches its target quickly, but once it has done its job, the extra CRISPR-Cas9 in the cell can cause problems by cutting DNA in the wrong places. If we had an off-switch, we could control the duration of the treatment and reduce any off-target effects. Studying the CRISPR-Cas system in bacteria doesn’t just help enhance the gene editing toolkit; it also gives scientists potential new ways to treat bacterial infections. After years of overusing antibiotics and antimicrobials, we are facing an increase in infections that are resistant to treatment. There is another problem associated with antibiotics: they tend to kill the body’s bacteria indiscriminately, taking away our natural bacterial defenders and leaving us vulnerable to secondary infections. Most people recover their microbiota after taking antibiotics, but in certain circumstances that can lead to problems; there are even reports that claim when children take antibiotics at an early age, their microbiota is altered for life. The microbiota plays an important role in human health, so it’s desirable to have a smart antibiotic that can target pathogenic bacteria. Because Cas9 is programmable, we can tell it to recognize and cut a sequence of DNA that only pathogenic bacteria have, such as an antibiotic resistance gene, which bacteria in the microbiota do not have. This effectively gives us a sequence-specific antibiotic, which would not have the problems we see in conventional antibiotics. CRISPR is a testament to the value of basic science. 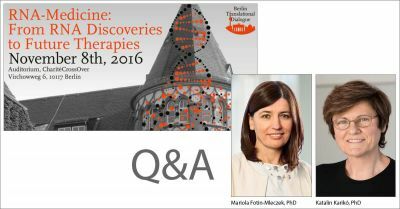 It started with very basic studies – it wasn’t studied to create technologies but just for curiosity driven science. In most cases, breakthroughs like CRISPR start with people like me, who are interested in how bacteria defend themselves against viruses, which, in principle, has no direct importance to human health. That’s the value of basic science – and we need more funding to keep making breakthroughs. So much of the attention has been placed on the engineering applications of it – with good reasons – but it’s worth remembering it is also extremely important in terms of basic biology. Ultimately its utility as a genome engineering platform will be far reaching, but its contribution to our understanding of biology, host-pathogen relationships and limitations to horizontal gene transfer is also important. We’ve been continuing to work on CRISPR biology in meningococcal cells and its development as a genome editing platform. One thing we’ve found is that Neisseria Cas9 is hyper accurate – an important attribute if you want to use it for something like gene editing. By working through a long list of systems in different bacteria we can see what other attributes are available and widen the toolbox. 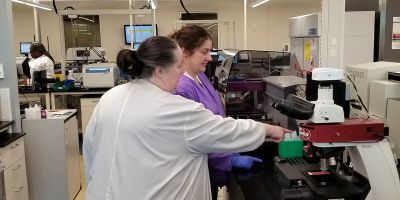 By continuing to work in bacteria, and publishing the results, researchers are building the fundamental knowledge that makes the CRISPR-Cas system so revolutionary, ultimately helping scientists use it to edit genomes and cure genetic diseases. Aileen Christensen is a Product Marketing Manager, responsible for the global marketing of SciVal, part of Elsevier’s Research Intelligence portfolio of software solutions. 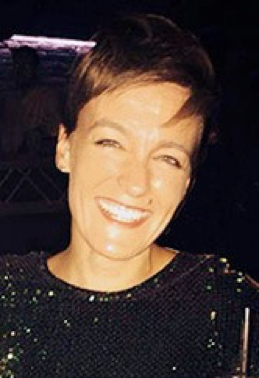 Based in Amsterdam, Aileen joined Elsevier in 2014; prior to her current role, she worked as a Marketing Communications Manager, responsible to the Elsevier’s chemistry journals. She holds a double BA in Business (Marketing and Management) from Monash University.